Næsby Strand is located on Lolland on the Baltic coast. 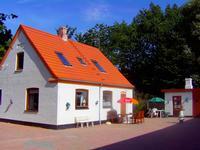 Næsby Strand cottages are for everyone and there are ample opportunities for great excurstions on the charming island. A cottage in Næsby Strand is ideal for a visit to Knuthenborg Safaripark or the beautiful old borough of Nysted with its many century-old half-timbered houses. With a cottage in Næsby Strand you are guaranteed lovely holidays. There was no summer houses in Næsby Strand - In stead we shows summer houses in the neighbour villages to Næsby Strand. Dream apartment for 4 persons with living room, American kitchen, a bedroom and sleeping possibility in the living room, toilet and shower. 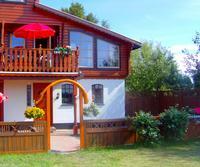 The apartment is located 50 meters from the beach near the fishing village Kramnitze. Good fishing from shore. 4 persons 2 bedrooms Internet - Broadband Pets OK Distance to beach: 50 m.
Holiday flat 50 m from the beach close to the charming fishing hamlet, Kramnitze. Fine angling opportunities from the beach. Dream flat with lounge, American kitchen, one bedroom and two alcoves, sauna and whirlpool, toilet and shower. 6 persons 2 bedrooms Dishwasher Washing machine Whirlpool Sauna Internet - Broadband Pets OK Distance to beach: 50 m.
Dream house, 50 m from the sea, with lounge, kitchen, 3 bedrooms, sauna, terrace, fireplace, 2 toilets with shower. Not far from Lalandia with subtropical water park, Knuthenborg Safari Park with wild animals and the Medieval Centre in Nykøbing F.
6 persons 3 bedrooms Dishwasher Washing machine Sauna Woodburner Pets OK Distance to beach: 50 m.